UPDATE: This final rule has been put on hold until DOL has an opportunity to appeal or submit a new rule. Update expected in 2019. In this video, Lisa Smith provides an update on the Overtime Exemptions Final Rule. Until Next Time, Be Audit Secure! So December 1, 2016 came and went. And guess what employers around the country did not do? You guessed it. They did not implement the new rules governing overtime exemptions. Why not? Is the whole country suddenly non-compliant? No, of course not. You know better than that. What did happen is in November a judge in Texas put an injunction on the final rules implementation date. What that means is it temporarily blocked employers from being required to implement come December 1, 2016. So what now? Well, of course DOL has said we are going to appeal this ruling and hope to get it passed with a new implementation date coming. Is that going to happen? We really can’t say. We know that the appeals have all got to be in with all of the arguments and documentation no later than the end of January. And then, we’ve been sort of promised that this process is going to be expedited so that hopefully employers will have an answer by the end of February with a new implementation date or a completely scrapped program. So what’s an employer to do? Did you implement the final rule in November before the injunction was issued? Did you go through and reclassify workers and possibly double the pay of some of your employees? If you did, well, way to go for working hard to be compliant. And if you did, I’m really sorry because that presents you with quite a dilemma. My suggestion, and the suggestion of many attorneys around the nation is sit tight. Wait until we have a final determination on this legislation. If it turns out that the whole program is scrapped, then you have some decision making to do. But no matter how you slice it, it would be really difficult to go back to an employee that you’ve raised from, let’s say, $500 a week to $913 a week and say, oops just kidding and take that money back. That would be really difficult. So think your options through very carefully, and hang on, crunch your numbers, wait for the end of February. Until next time, I’m Lisa Smith. Remember, you can’t be audit proof but you can audit secure. Purchasers, readers, or users of this blog post agree to be bound by the following terms: Information contained in this blog post has been obtained by Pryor Learning Solutions from sources believed to be reliable. The subject is constantly evolving, and the information provided is not exhaustive. The advice and strategies contained should not be used as a substitute for consulting with a qualified professional where professional assistance is required or appropriate, or where there may be any risk to health or property. In no event will Pryor Learning Solutions or any of its respective affiliates, distributors, employees, agents, content contributors, or licensors be liable or responsible for damages including direct, indirect, special, consequential, incidental, punitive, exemplary losses, or damages and expenses including business interruption, loss of profits, lost business, or lost savings. For purposes of illustrating concepts and techniques described in this course, the author has created fictitious names; mailing, e-mail, and internet addresses; phone numbers and fax numbers; and similar information. Any resemblance of this fictitious data that is similar to an actual person or organization is unintentional and purely coincidental. Lisa Smith is CEO of Andere Development, LLC and the Chief Content Officer at BeAuditSecure.com. She is a compliance expert and the author of the line of HelpDesk compliance tool-kits that assist employers in understanding requirements and maintaining compliance with employment related laws. 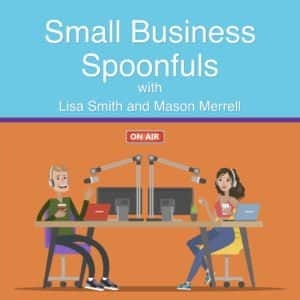 Follow her on Twitter, connect with her on LinkedIn, and listen to her Small Business Spoonfuls Podcast each week on iTunes or Stitcher.